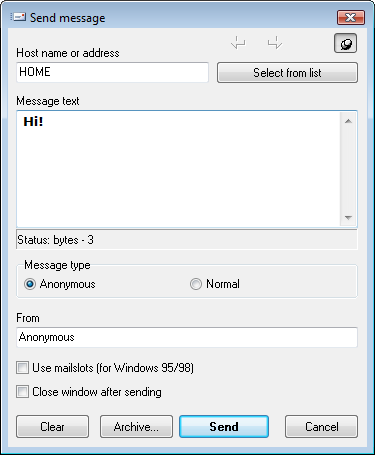 The program allows sending messages to network users (using the messenger service, just like "net send"). Normal and anonymous messages supported. You can select multiple recipients for sending. Also you can reply to incoming messages and access the archive of incoming and outgoing network messages.